Former clinic abortionist: Merri B. Morris Former clinic abortionist: Sujatha Prabhakaran Florida health care agency to Planned Parenthood: We're still investigating abortions Planned Parenthood Seeks Injunctions Against Florida Order to Halt Illegal Second Trimester Abortions Closure confirmed 12/2016. 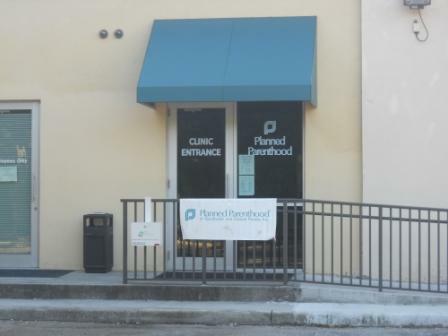 The State of Florida notifies Planned Parenthood that they must cease operations in Saint Petersburg, after discovering that the clinic performed multiple illegal second-trimester abortions without a license. Letter August 18, 2015 to PP indicating that their flawed intrepetation of the law have caused them to do unlicensed second trimester abortions.